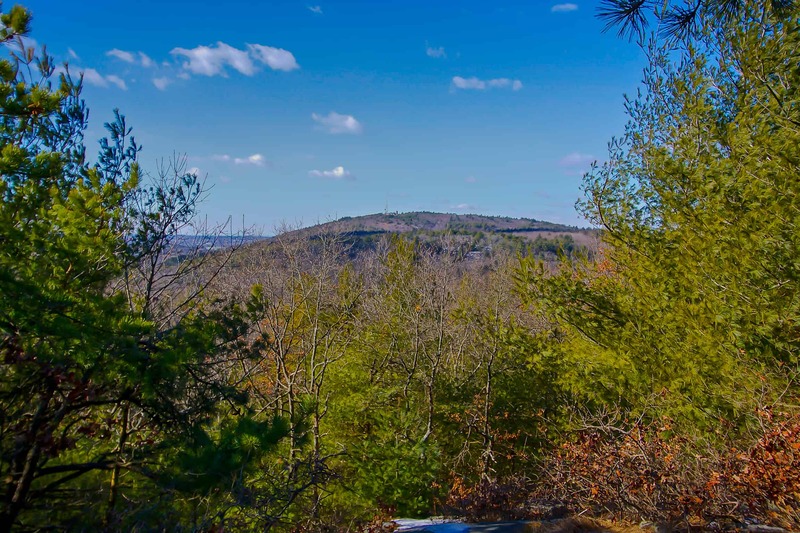 The Skyline trail traverses the entire Blue Hills, but you don’t need to walk the whole trail to climb strenuous hills and enjoy spectacular views. This is about a two hour hike if you are walking at a moderate pace with a couple water breaks. Leave more time if you want to picnic at Eliot Tower or check out the Blue Hill Observatory. Start at the trailhead behind the Blue Hills Headquarters. At the beginning of the trail (no more than a minute walk in), you’ll see a turn for the Skyline Trail off to your right. Follow the blue dots to climb up Hancock Hill, skirt Hancock Hill and over Hemenway Hill. You’ll cross Wolcott Path (marker 1141), where you can look at the map to make sure you’re on the right trail. Continue straight, following the blue markers all the way to Eliot Tower. Take the time to climb the tower and enjoy the view. If you’d like, you can also take a left (South) and look for the Blue Hill Weather Observatory, which is the oldest continuously operating climate station in the country. If you’re not visiting the Observatory, just take a left when you get to Eliot Tower and take the next trail down to your left at marker 1066. Again, you’re following the blue dots all the way down to Hillside Street. You can take a left on Hillside Street to end at the Headquarters building. Park: At small parking lot across from Headquarters (695 Hillside Street, Milton) or park at Houghton’s Pond and walk to the Headquarters.